I recently received my copy of Social Dimensions of Privacy, edited by Beate Roessler & Dorota Mokrosinska. The book was published by Cambridge University Press this summer. I’m delighted as I look over this book. 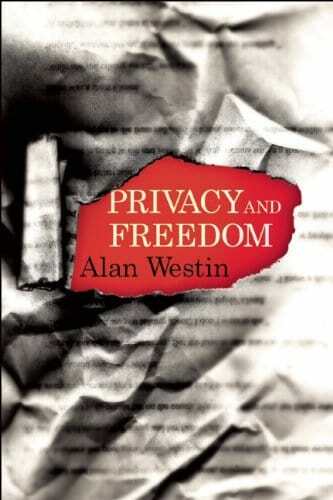 The book has a wonderful selection of short philosophical essays on privacy, and I’m honored to be included among the terrific group of chapter authors, who include Anita Allen, Paul Schwartz, Helen Nissenbaum, Judith Wagner DeCew, Kirsty Hughes, Colin Bennett, Adam Moore, and Priscilla Regan, among many others. Each chapter is succinct and well-chosen. Professor Neil Richards (Washington University School of Law) and I have posted on SSRN our new article, Privacy’s Other Path: Recovering the Law of Confidentiality, 96 Georgetown Law Journal __ (forthcoming 2007). The article engages in an historical and comparative discussion of American and English privacy law, a topic that has been relatively unexplored in America. Is There a Good Response to the “Nothing to Hide” Argument?